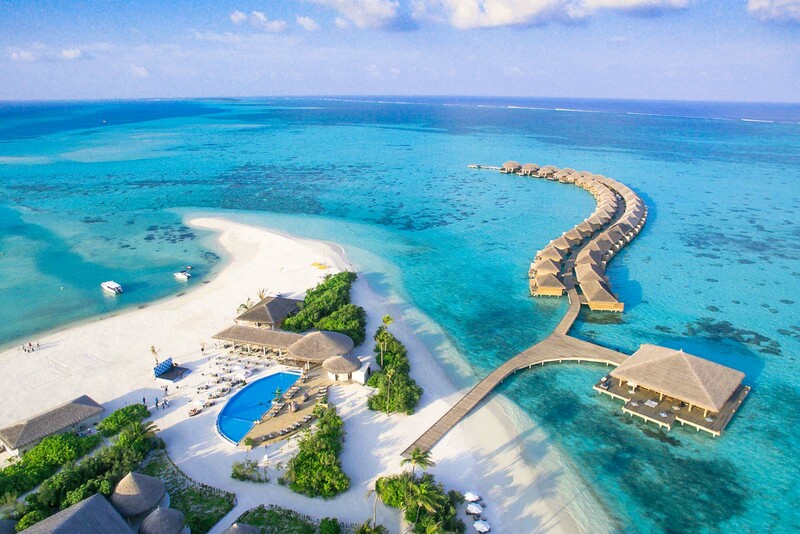 Cocoon Maldives, best described as an actualisation of a dream to create a unique designer resort that mixes luxury, design aesthetics, and hospitality into a unique tropical island paradise is located on the pristinely stunning island of Ookolhufinolhu in Lhaviyani Atoll. 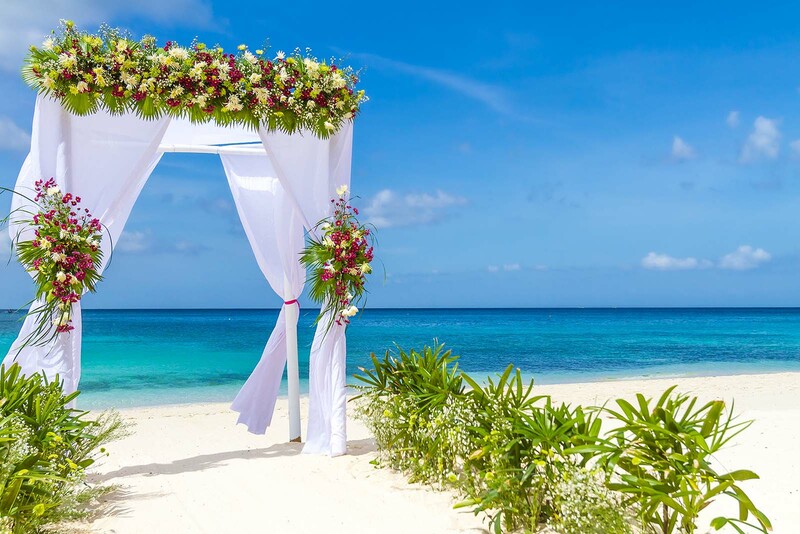 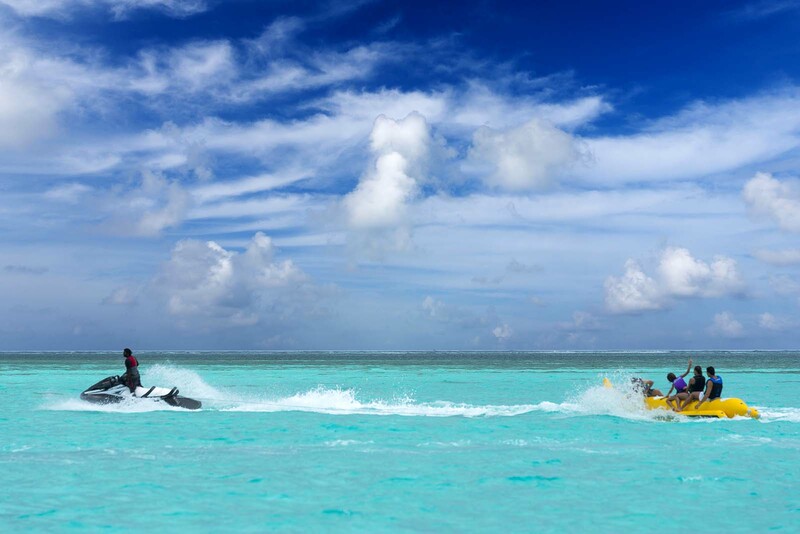 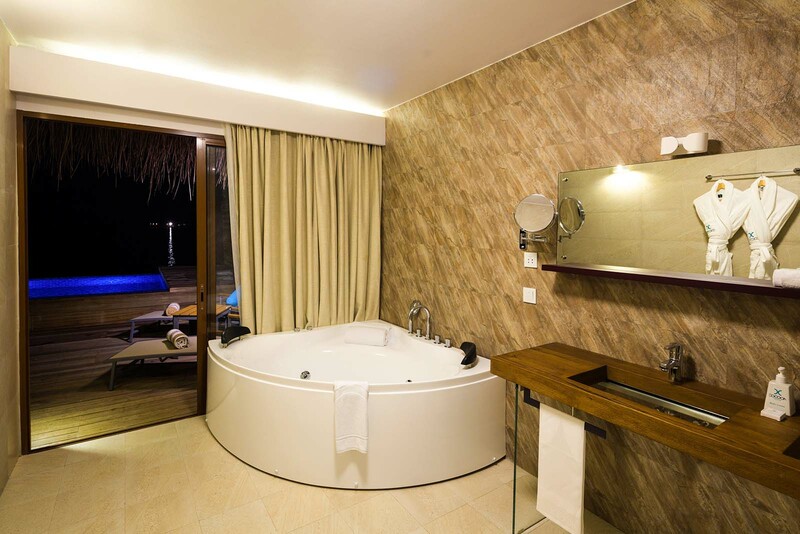 The resort is accessible by a short 30-minute seaplane ride away from Velana International Airport. 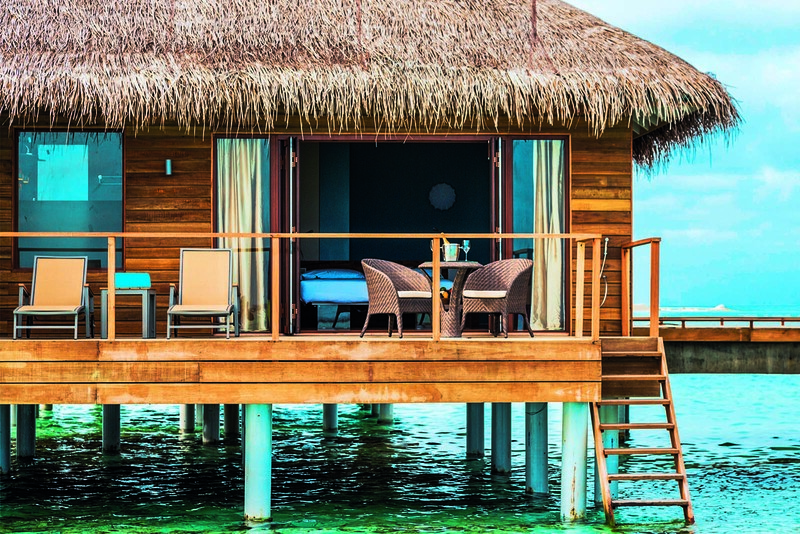 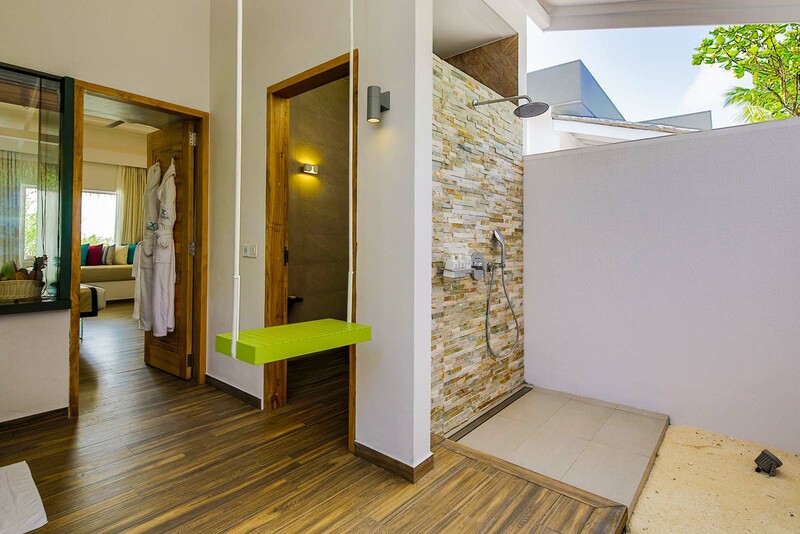 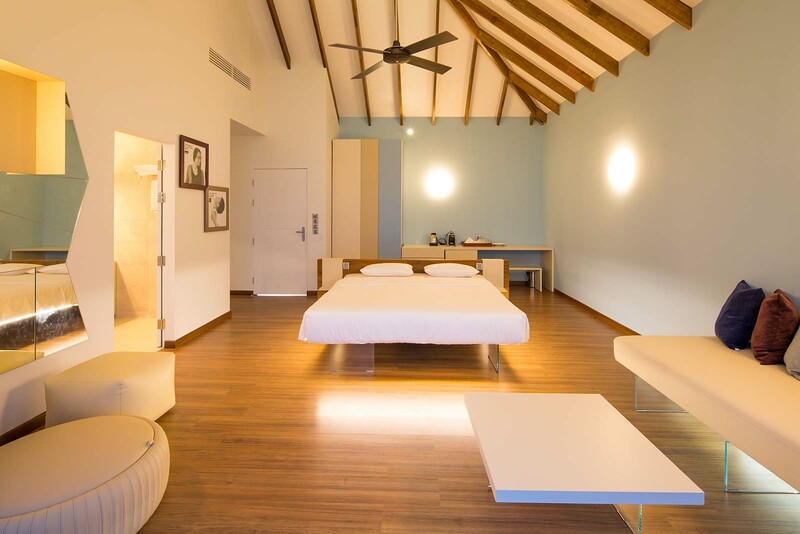 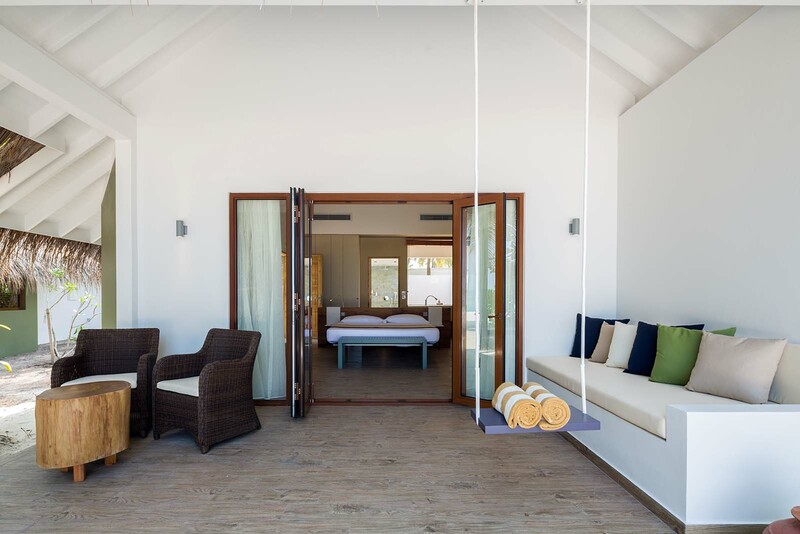 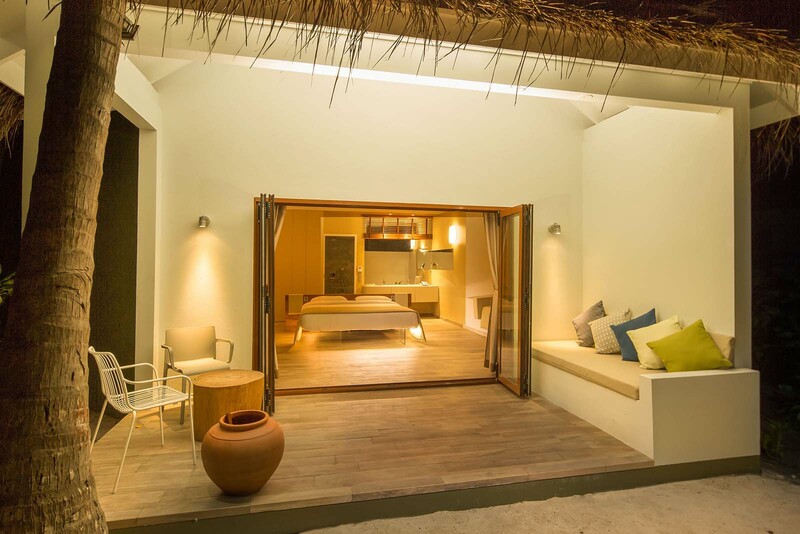 Designed by renowned Italian firm LAGO, Cocoon’ maldives is fitted with minimal interiors complementing furniture made from 200-year-old wildwood. 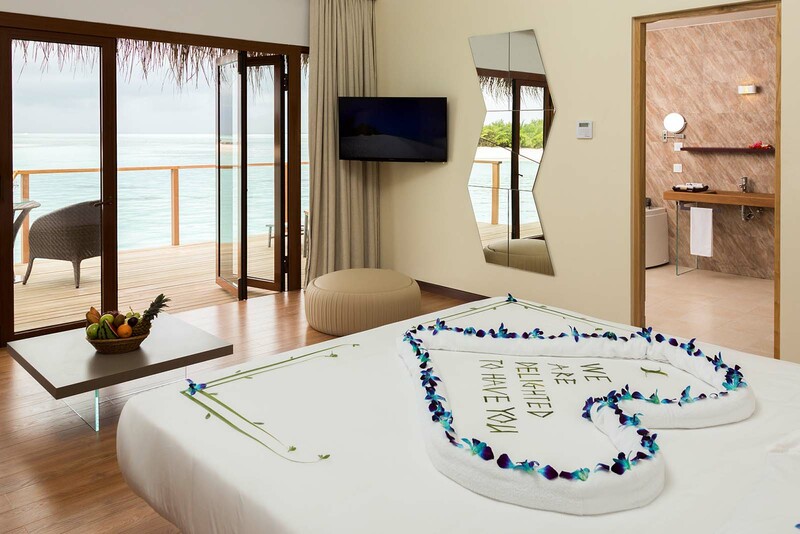 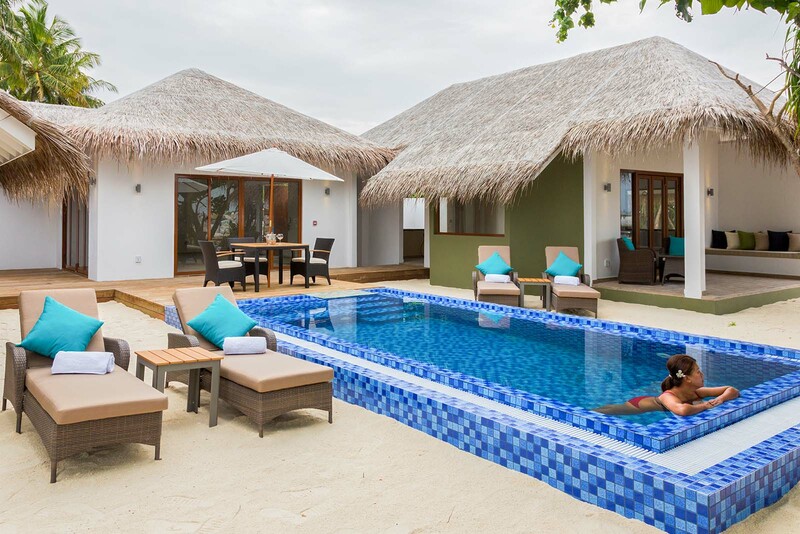 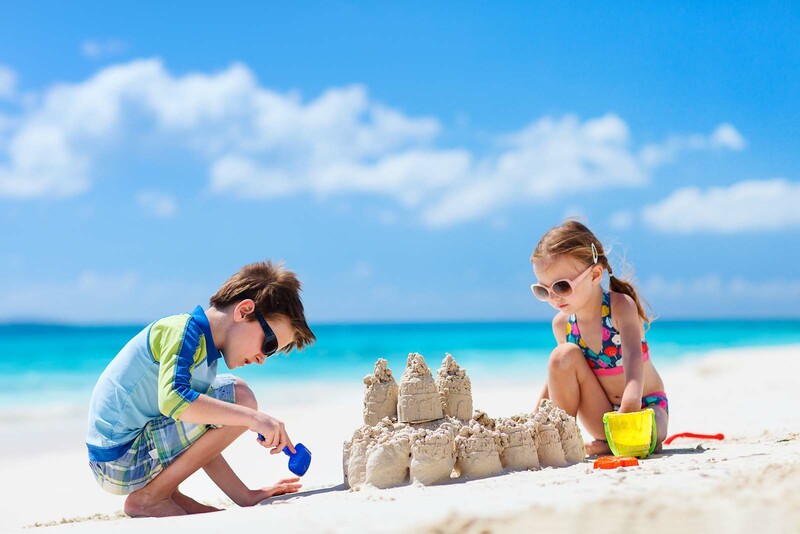 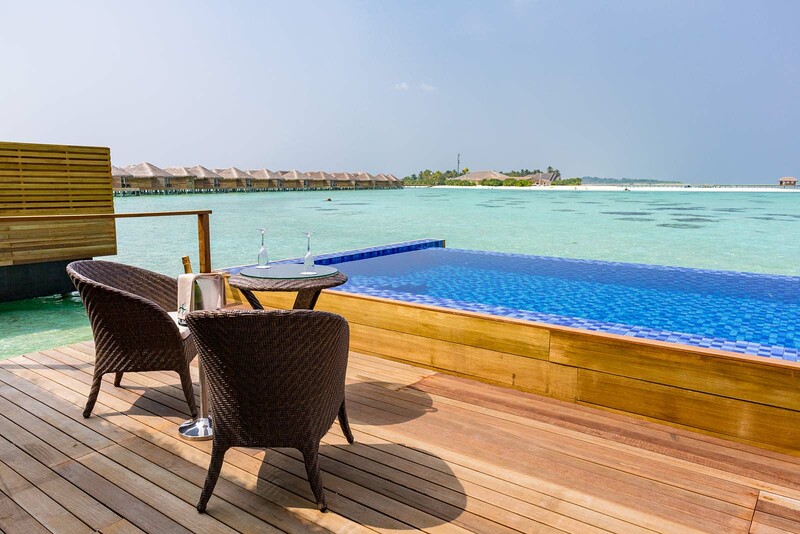 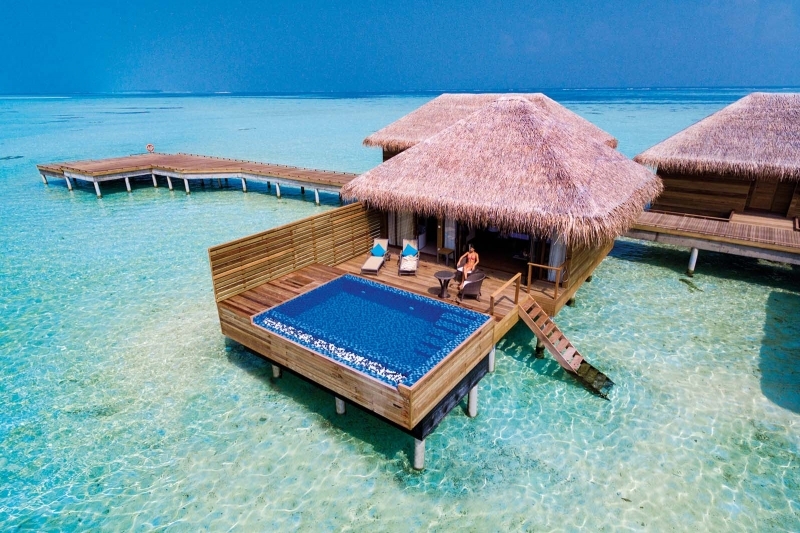 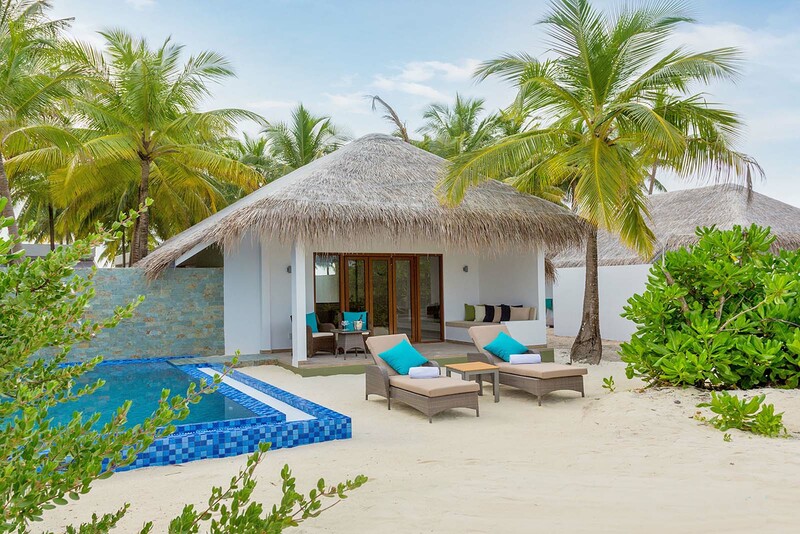 Accompanying the overwhelming beauty of the surrounding marine environment and lush green vegetation that envelope the whole island, the resort offers 150 villas on the beach or poised on stilts in the lagoon. 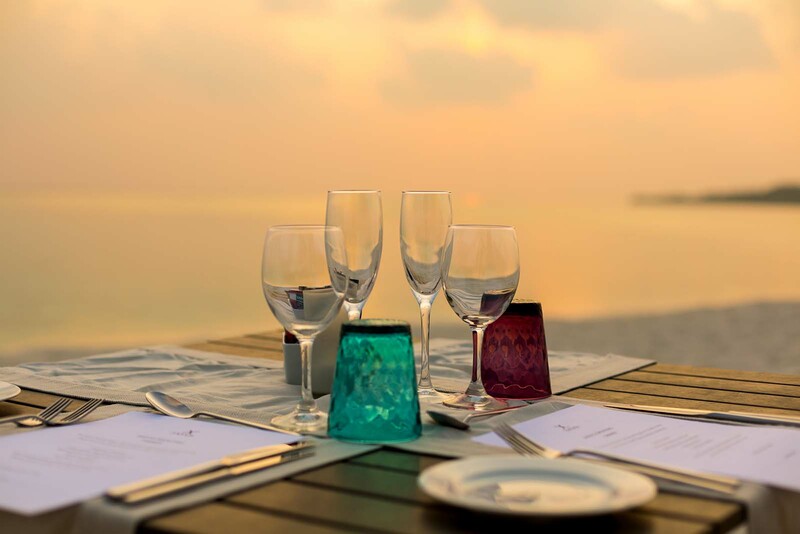 With a selection of three Restaurants & two Bars, guests will be spoilt for choice. 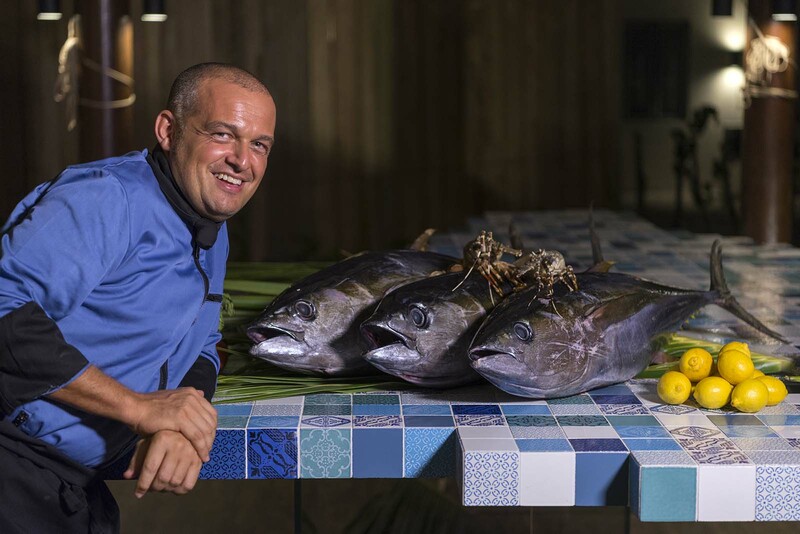 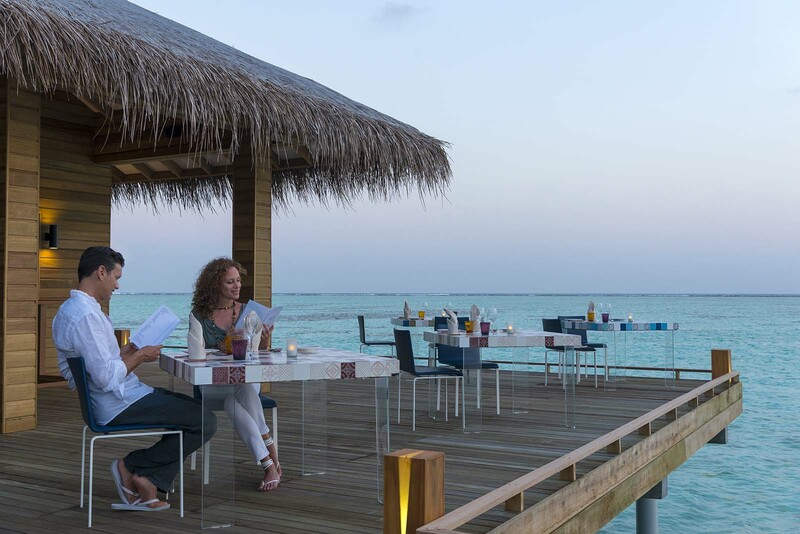 Frequent theme nights at the Main OCTOPUS Restaurant will introduce guests to a variety of cuisine and cultures of the world. 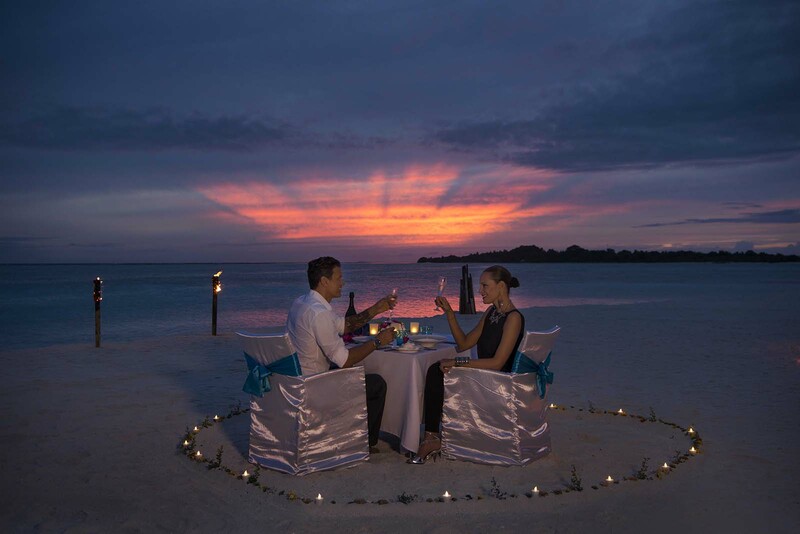 For those seeking a romantic dine by candlelight on a snowy beach to the rising lovers’ moon, the MANTA Restaurant offers A la Carte dining in the lagoon. 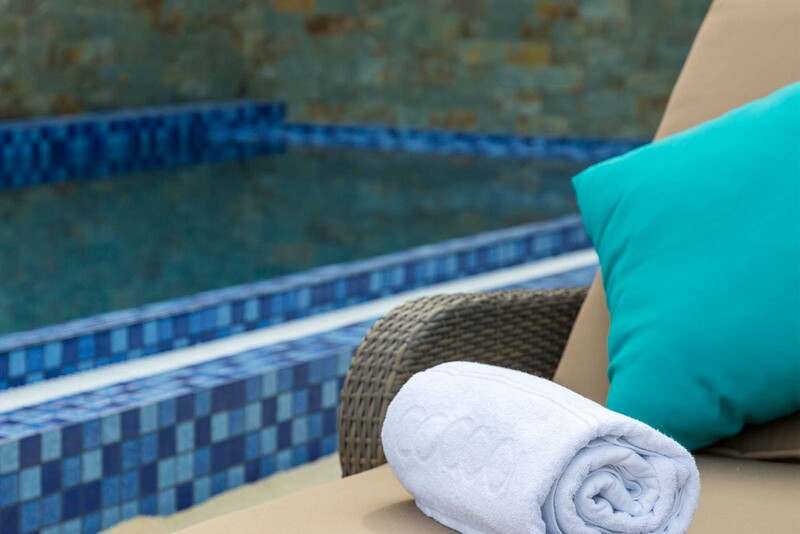 Cocoon’s experienced spa therapists at the Cube Spa offer a wide range of therapeutic treatments from various corners of the world to ensure a sublime spa experience, designed to heal the mind, body and spirit. 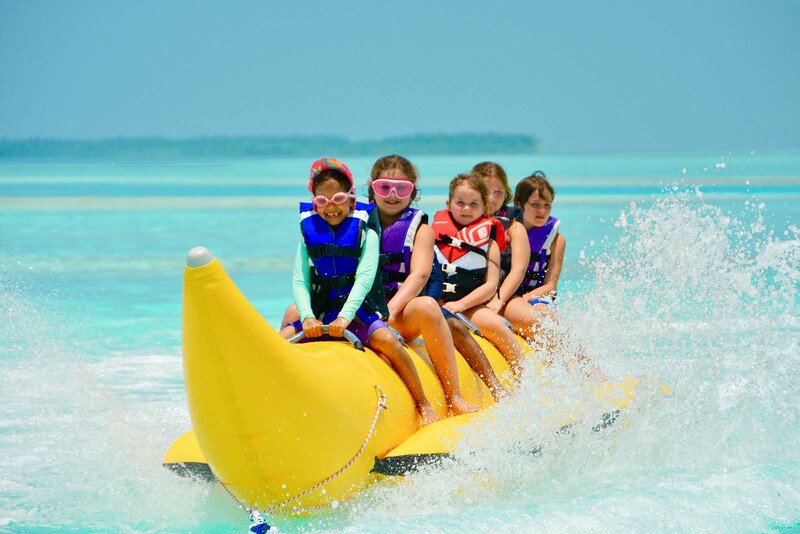 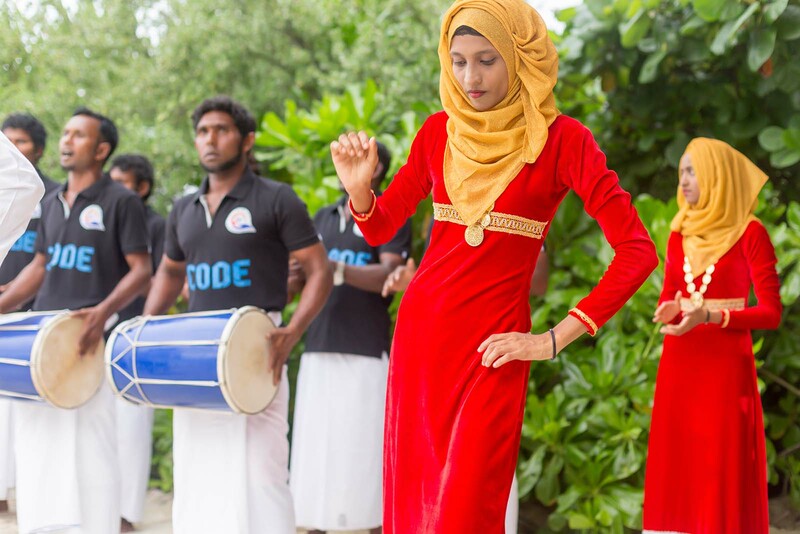 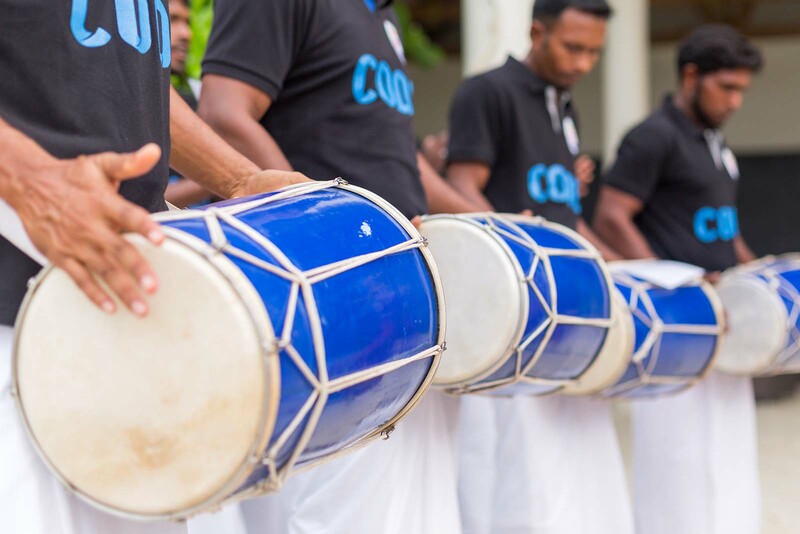 There are activities at Cocoon Maldives for everyone, from sports to entertainment and diving enthusiasts.Excursions activities such as Island tours, Dolphin cruises can be reserved with our Travel & Tour Assistance team.The resort also hosts Daily entertainments with Live Band, Disco, Maldivian Cultural Show and many more. 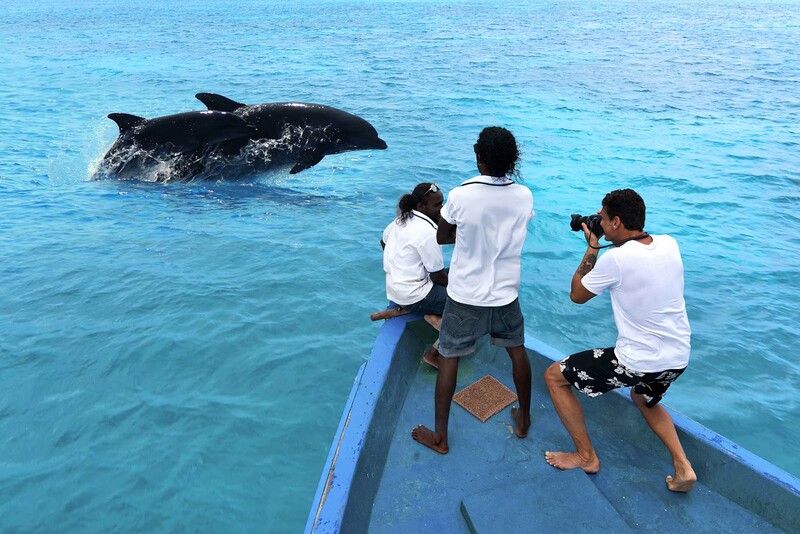 Sporting activities like Big Game fishing tours, Snorkelling Explorer are also provided. 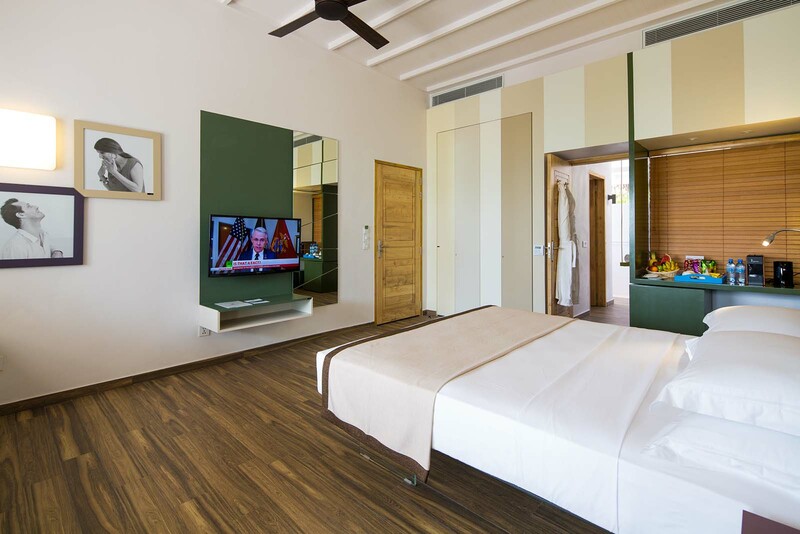 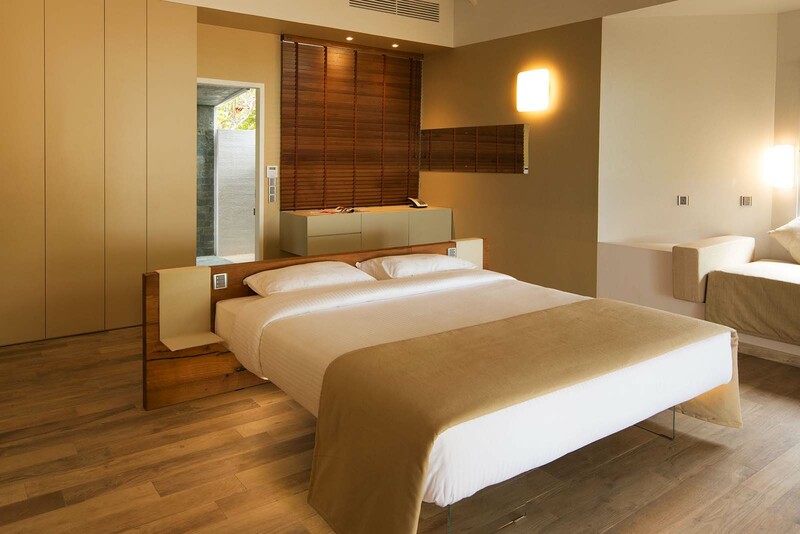 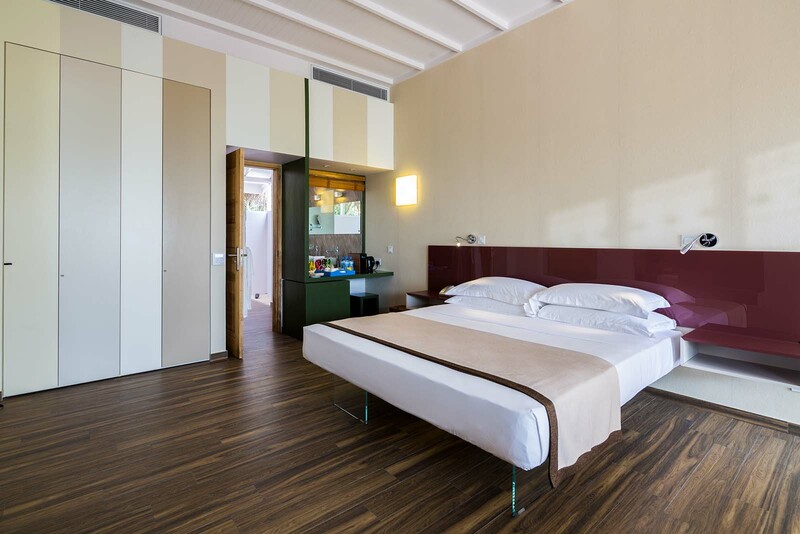 The 300-square meter Cocoon Presidential Suite is the ultimate in lux comfort, and is the largest guest suite on the island. 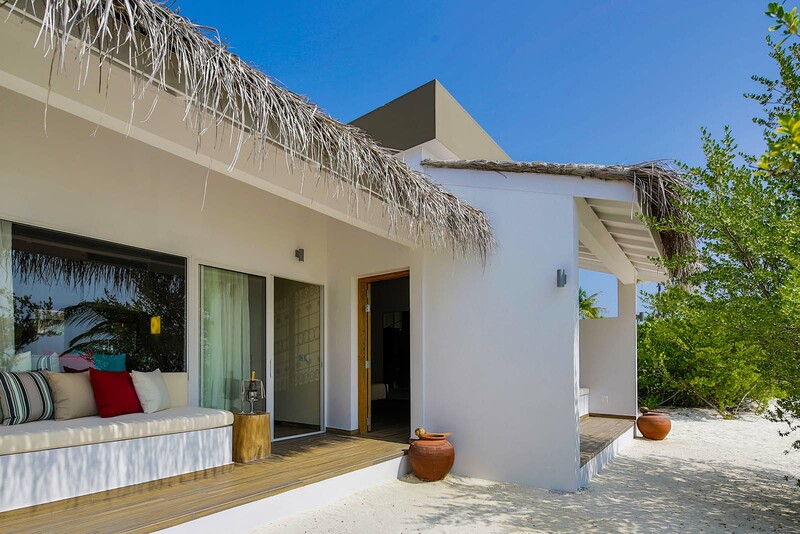 It comes with a magnificent, huge living room, two beautifully appointed bedrooms,and outdoor dining area and a private plunge pool. 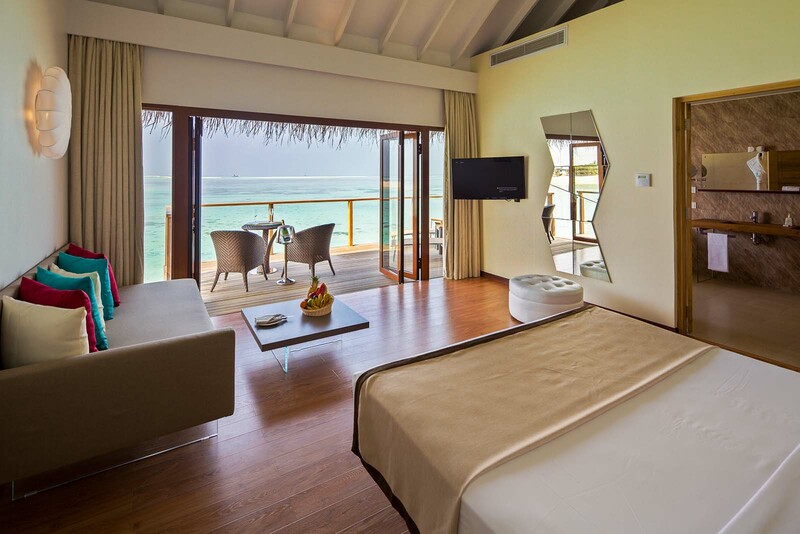 Its stunning beachfront setting affords a jaw dropping view of the lagoon. 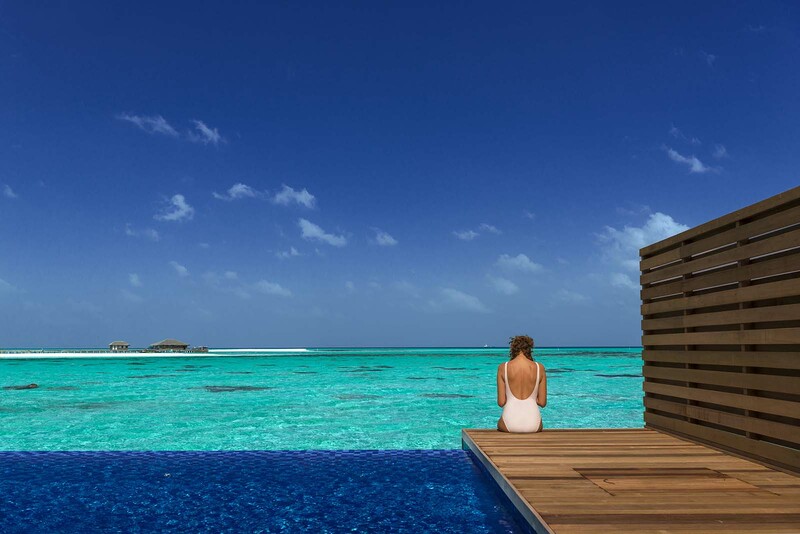 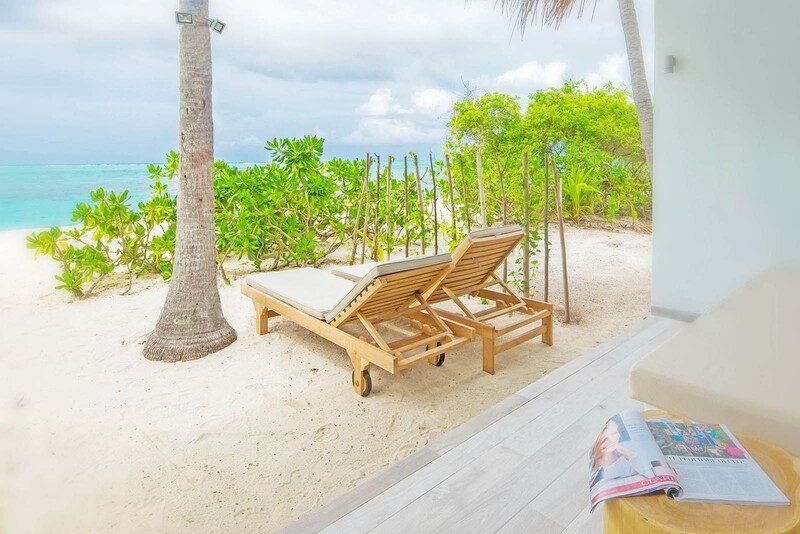 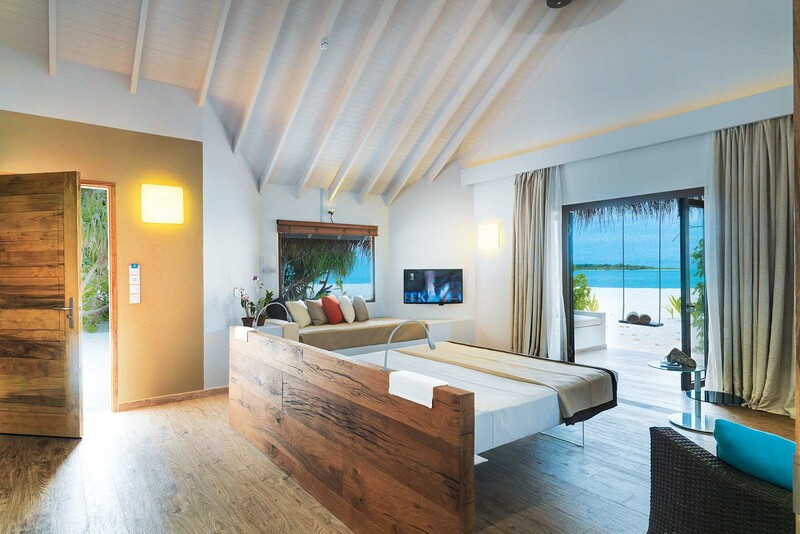 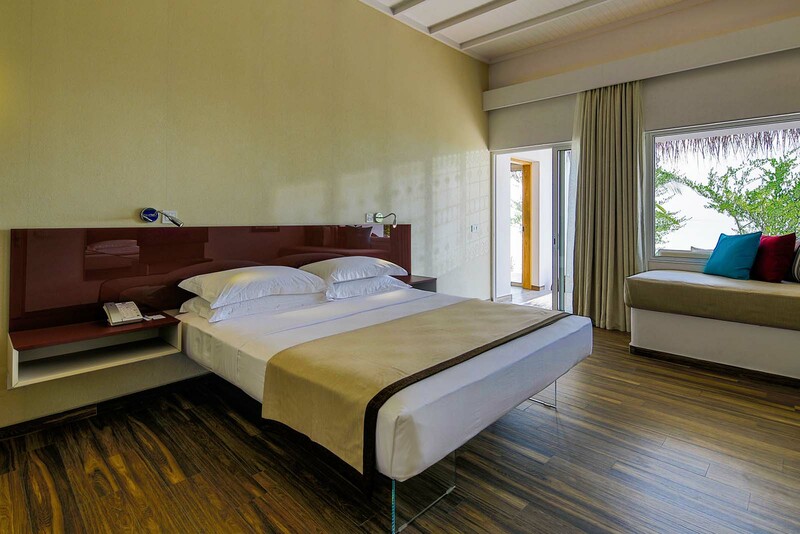 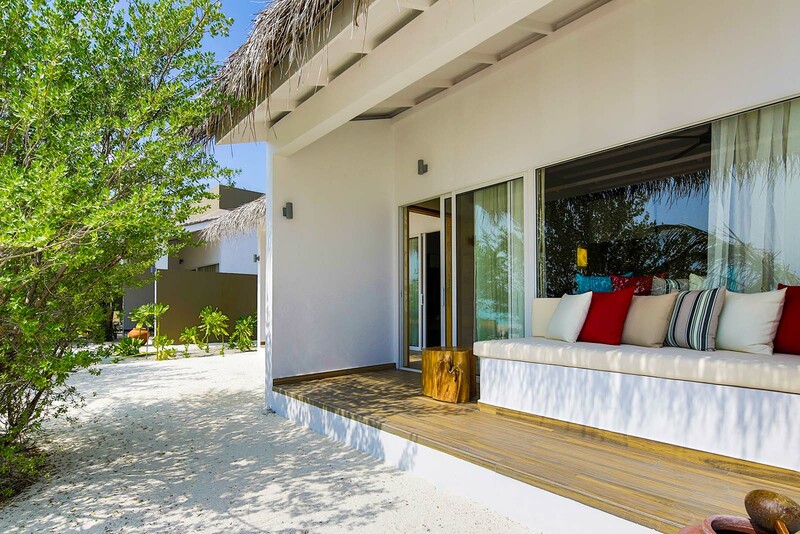 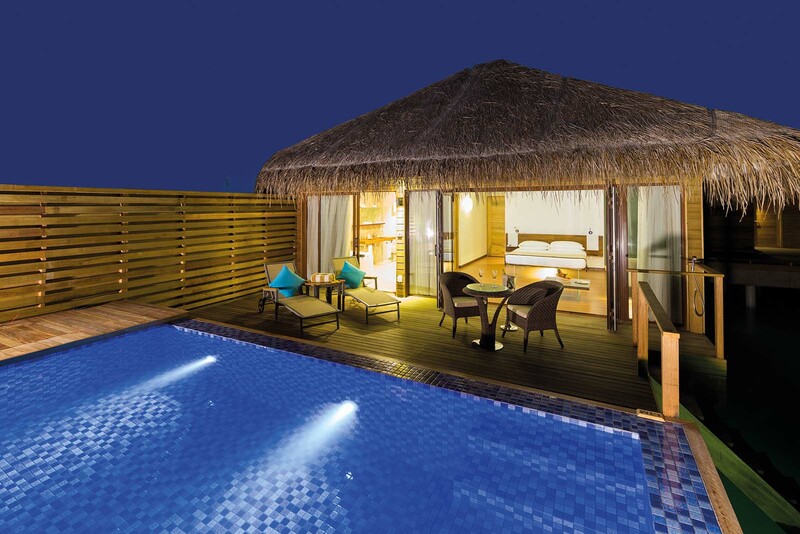 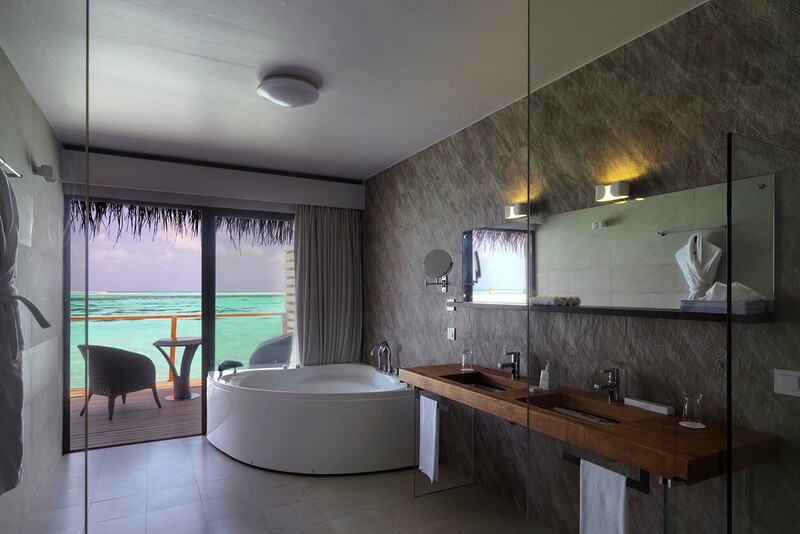 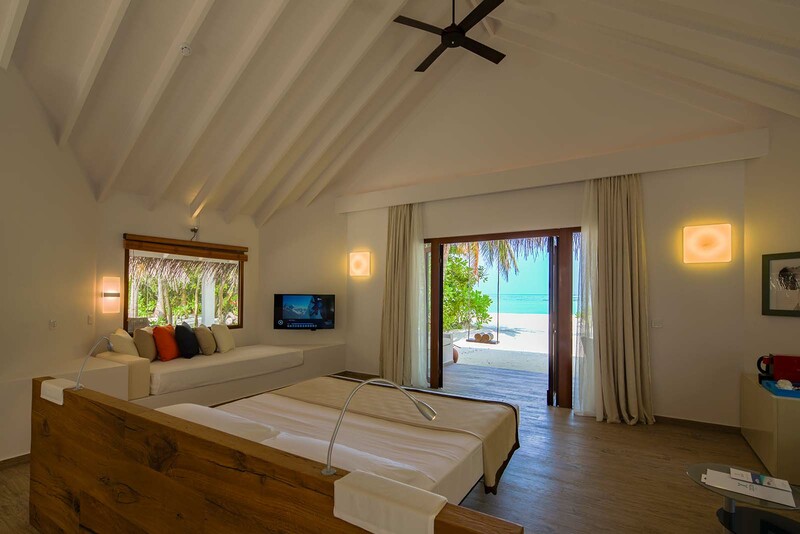 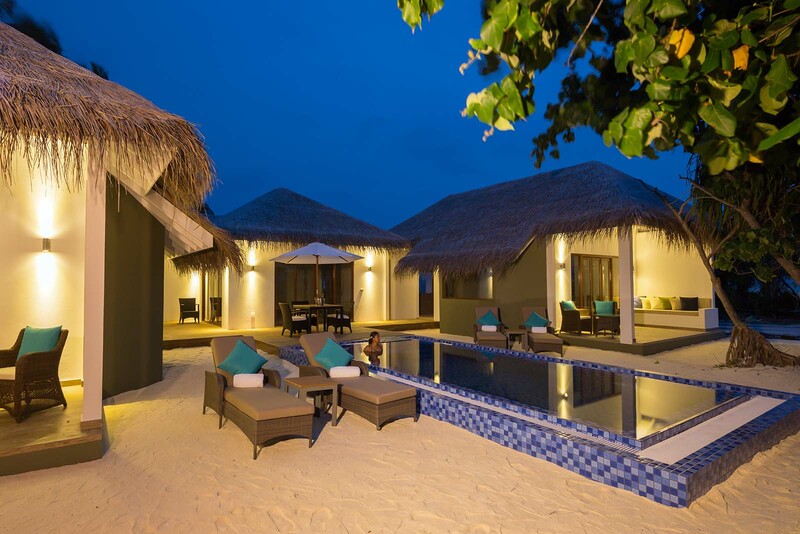 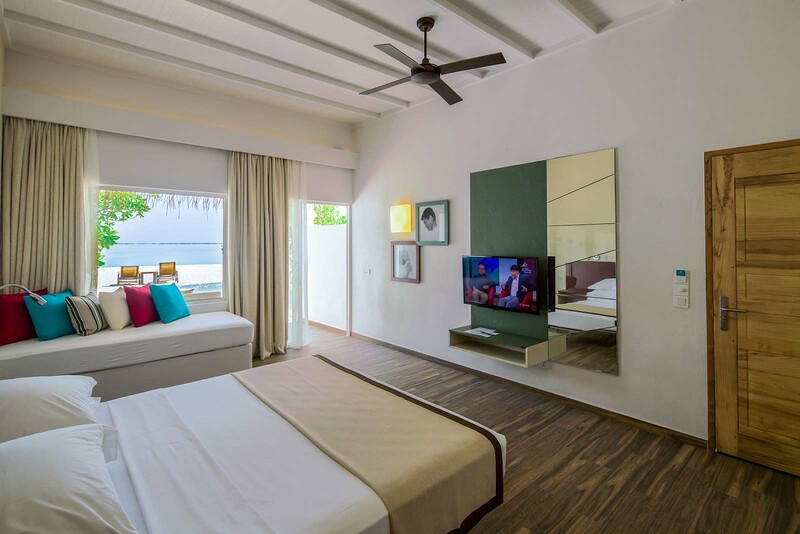 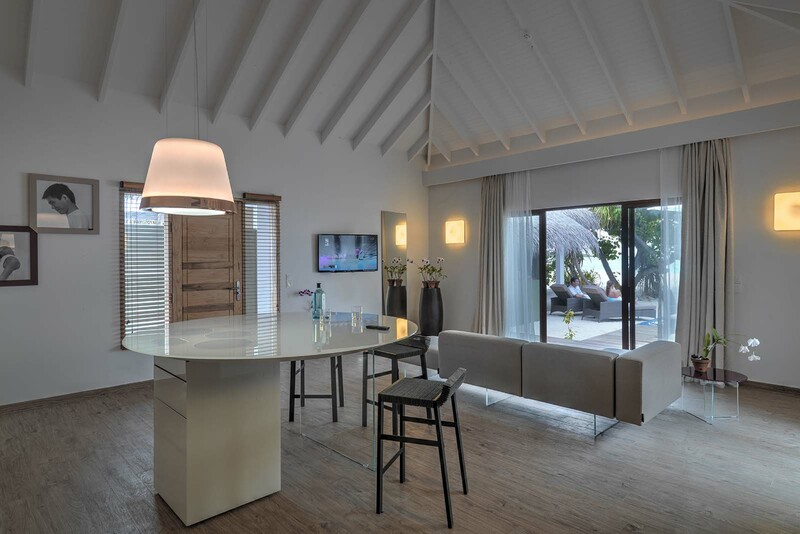 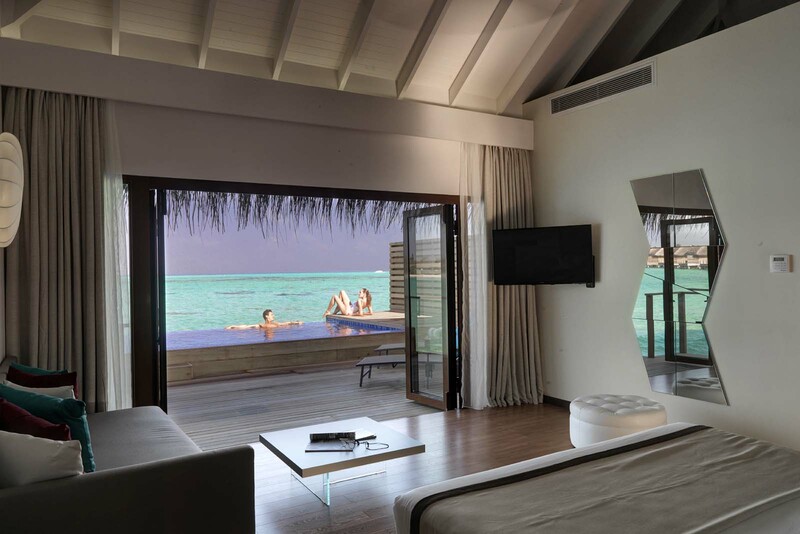 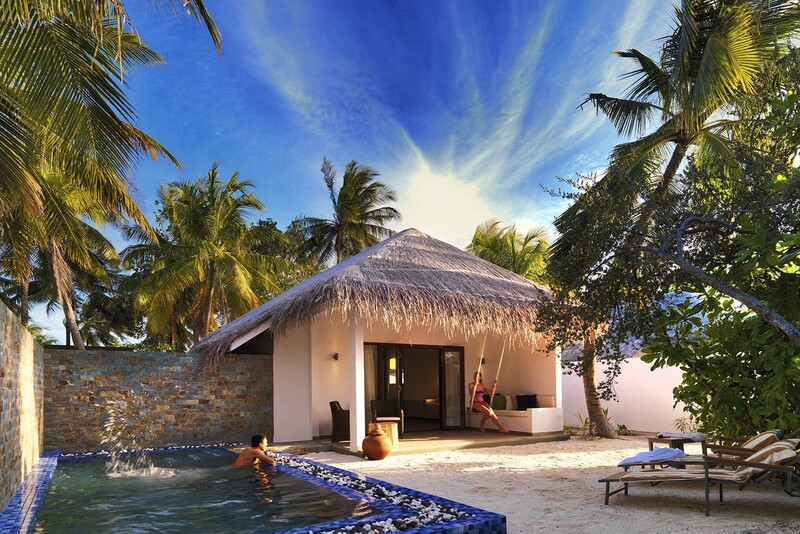 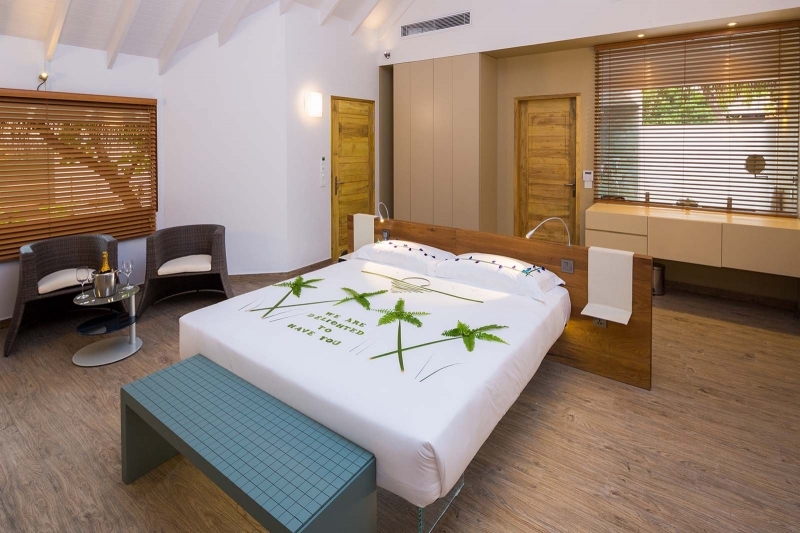 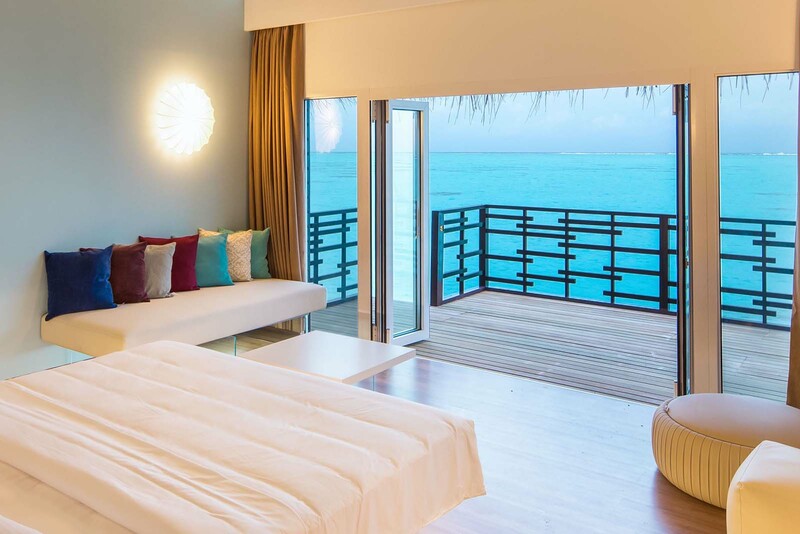 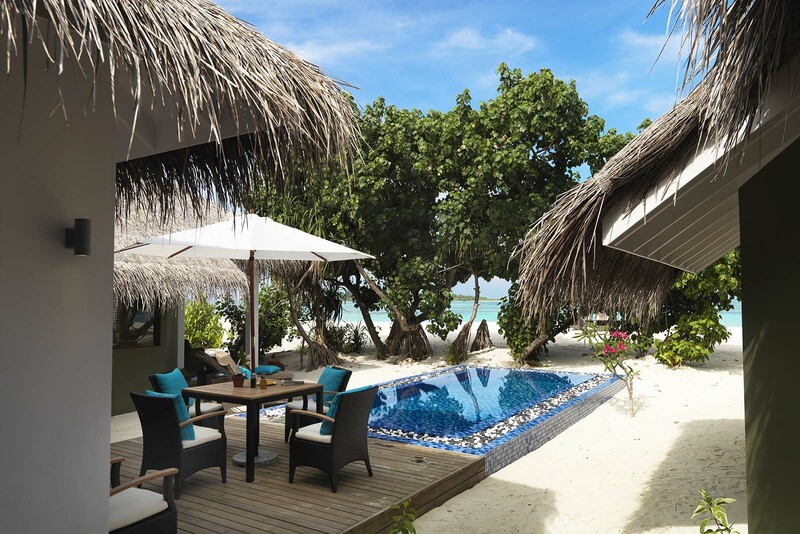 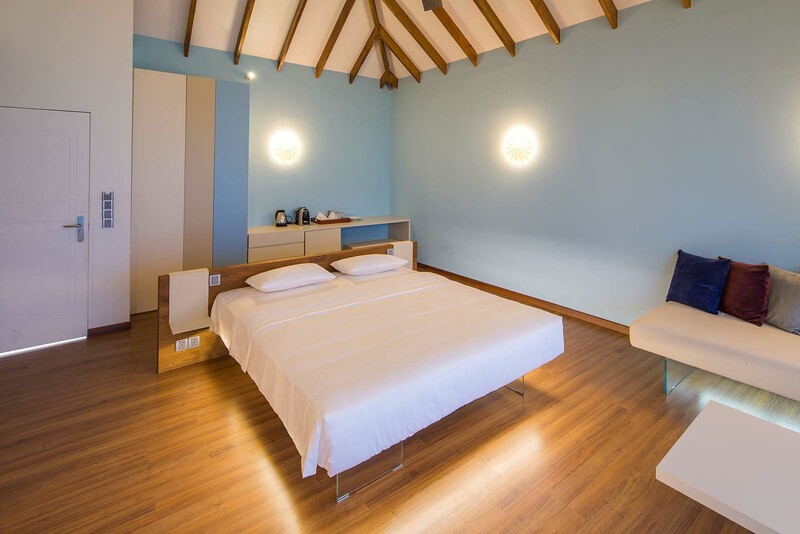 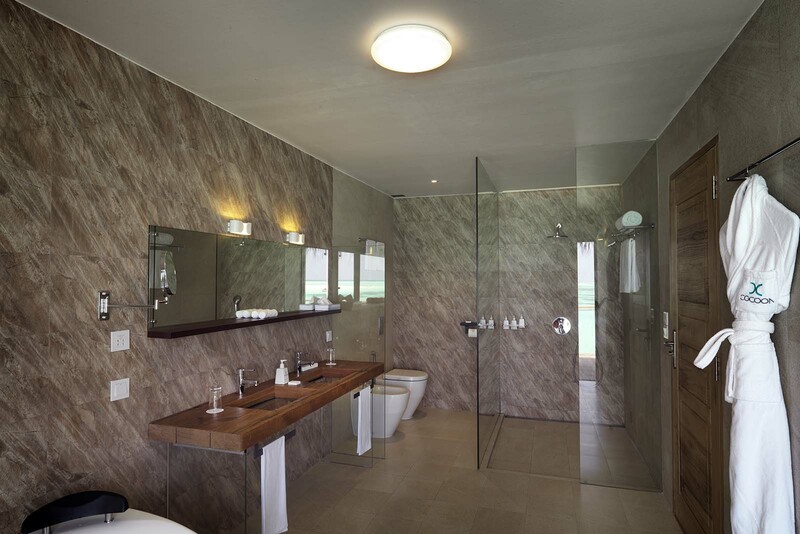 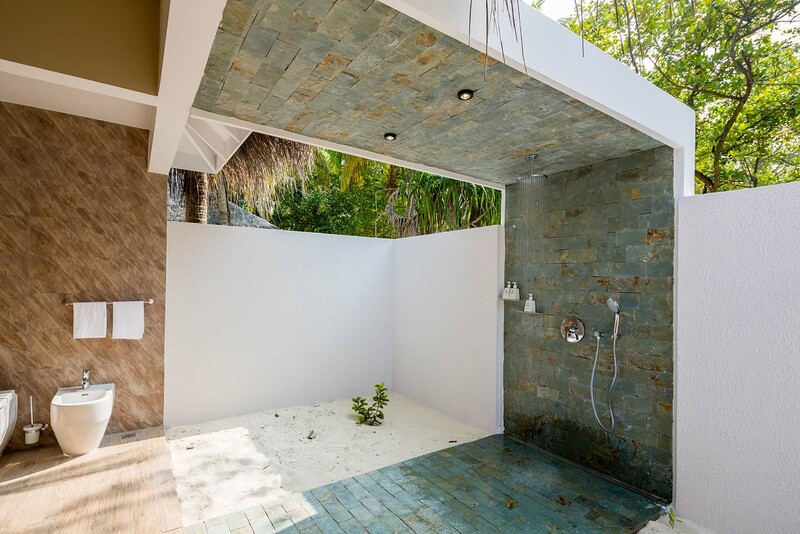 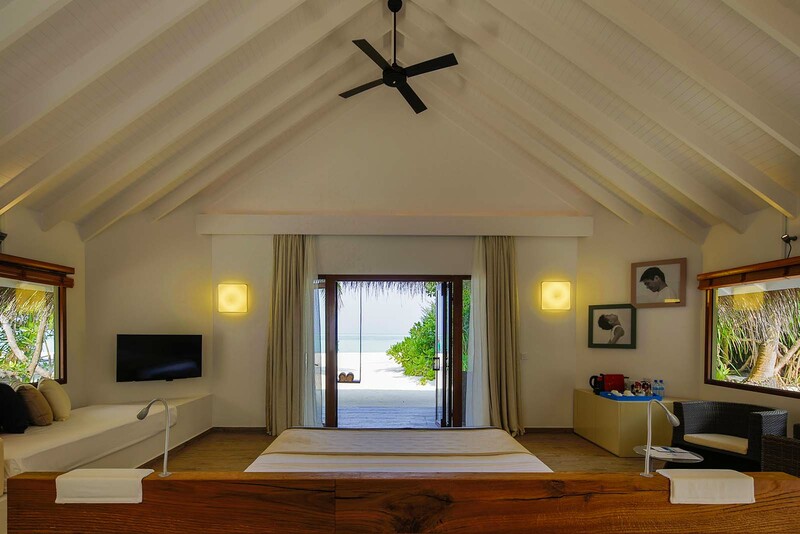 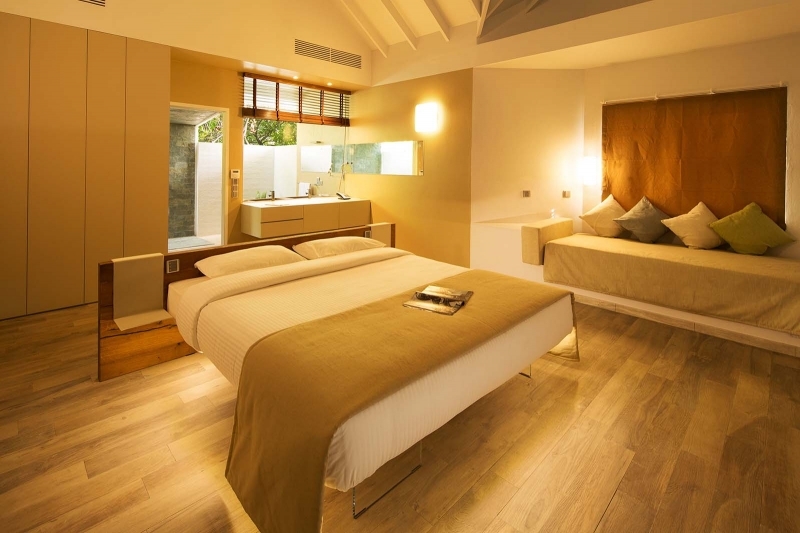 Cocoon’s spacious, 50-square meter Beach Villas, blend the Maldives’ natural beauty with the best of Italian design. 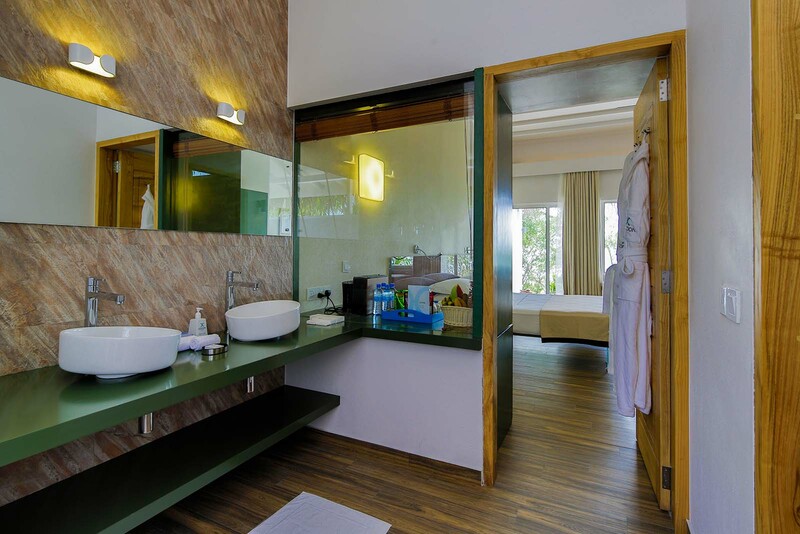 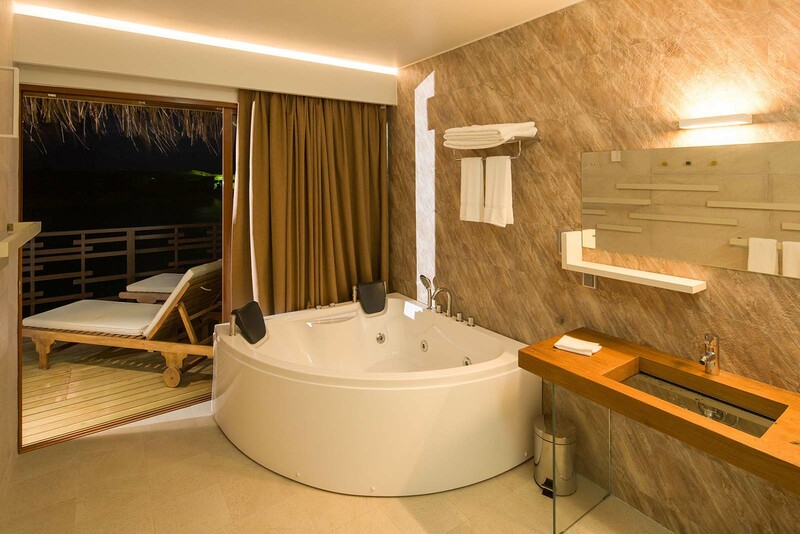 Open plan, yet intimate,each villa includes a feature bathing area with a large tub, a master bedroom with‘floating’ king-sized bed,and a sunken living area with sofa, flat screen TV and personal bar. Cocoon offers a wide range of dining facilities, with a mix of Asian, Italian, Chinese and international cuisine. 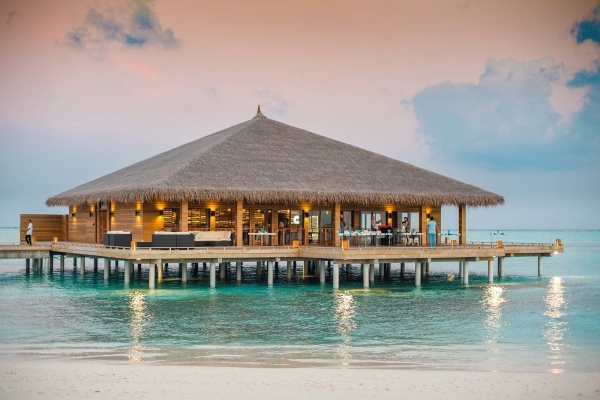 A ‘restaurant under the palms’, Palm Square is an open air,beach side restaurant, decked out in Arabian style, with pillowed floor seating, lanterns and shisha pipes. 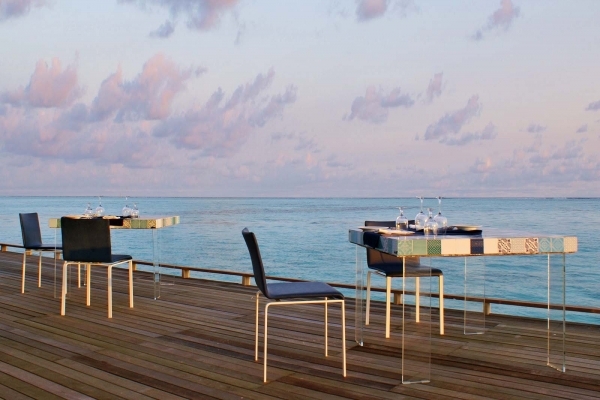 Cocoon’s fine dining restaurant, Manta is built entirely over-water. 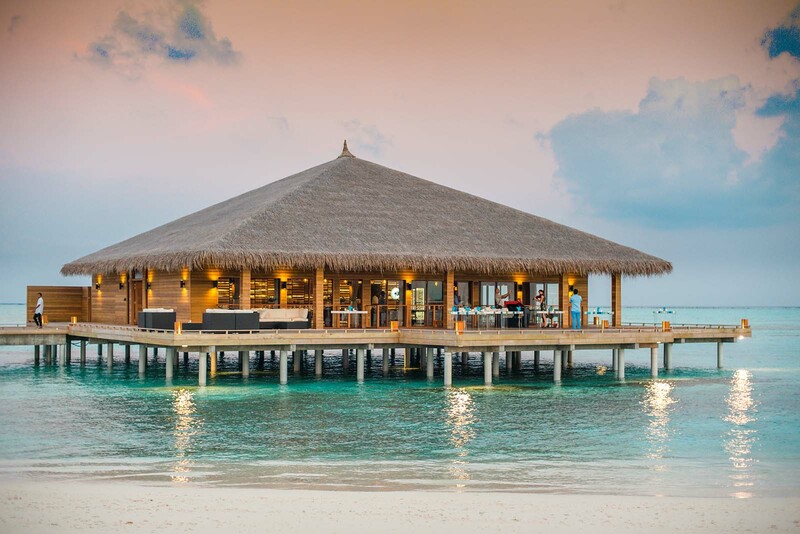 The contemporary interior has been designed by LAGO, and the island’s lagoon provides a dazzling backdrop for an exquisite meal from the restaurant’s international menu. 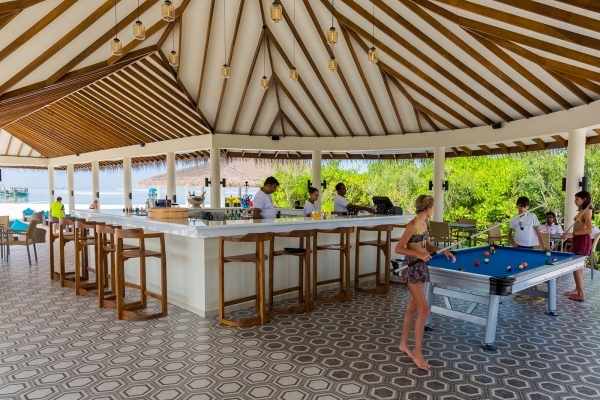 Cocoon’s pool-side bar and a convivial meeting spot,Laobi Loabi hosts a live DJ every evening with pool parties. Close to the children’s area, this is Cocoon’s beach bar, replete with hammocks and lounge chairs. 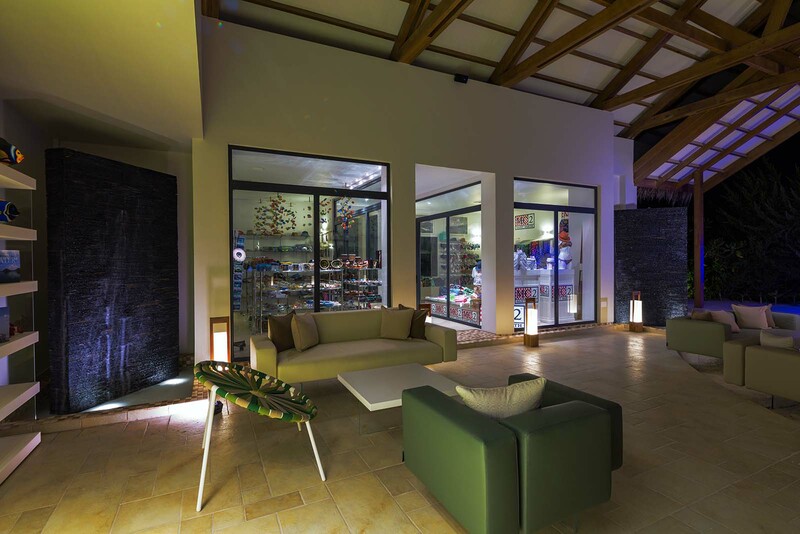 As well as a full bar, it serves fresh juices and snacks. 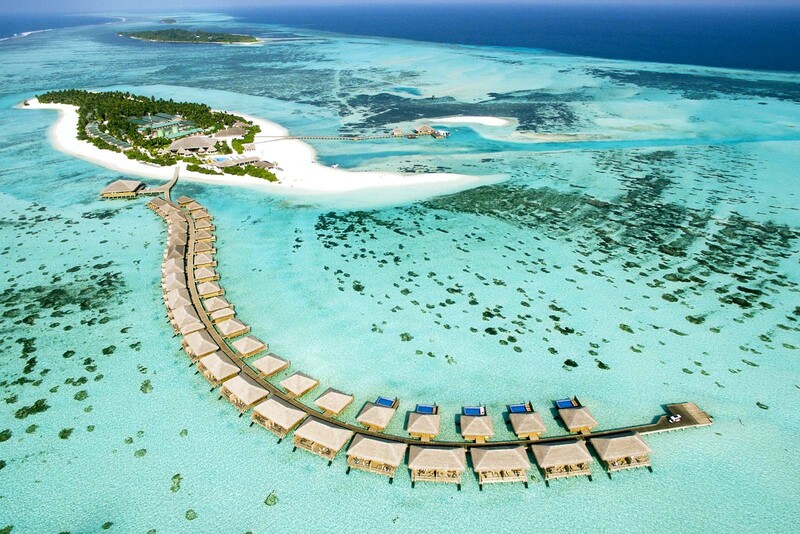 The resort is located close to 50 spectacular dive sites. 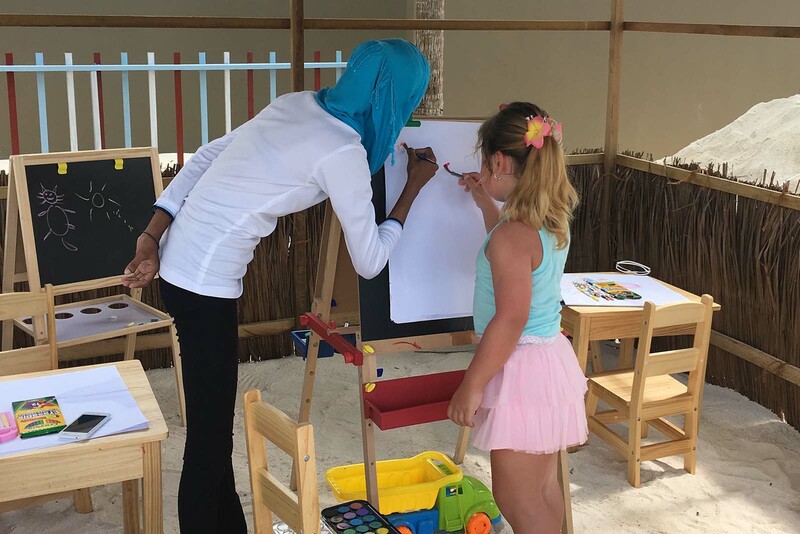 These include the famous "Shipyard", which has two shipwrecks in the same dive site, and "Kuredhoo Express", a famous point for watching sharks. 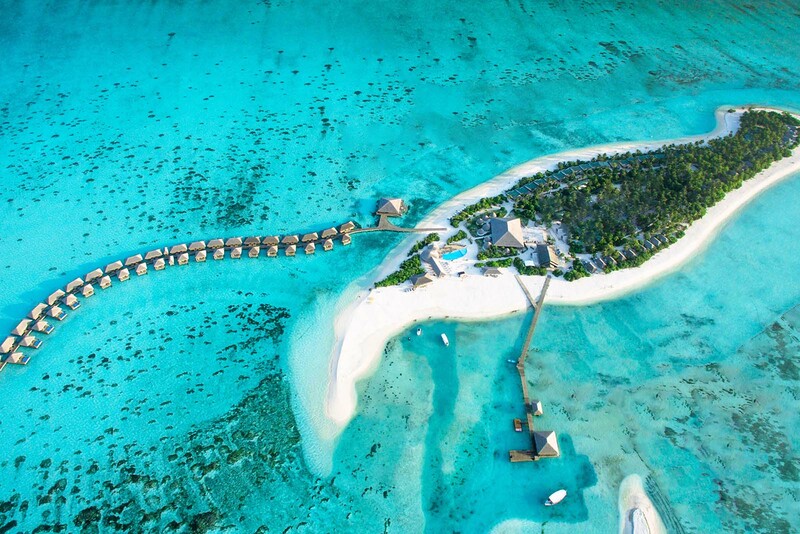 Cocoon is a great location to see some of the Maldives' most charismatic megafauna, such as manta rays, turtles, napoleon fish, and grey reef sharks. 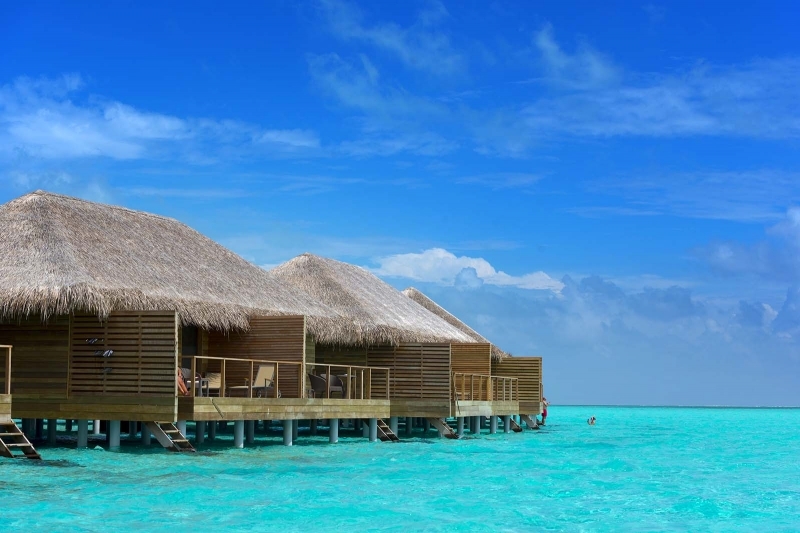 Cocoon houses a fully-equipped diving centre, run by certified professionals. Novices can learn to dive, and complete their PADI certificate here. 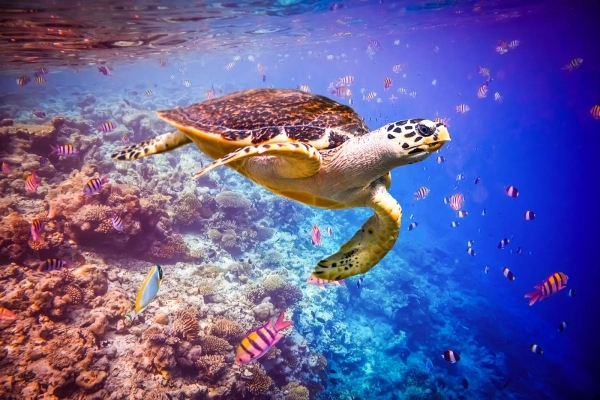 Experienced divers can enjoy bespoke dive trips to some of the Atoll’s most vibrant dive sites. 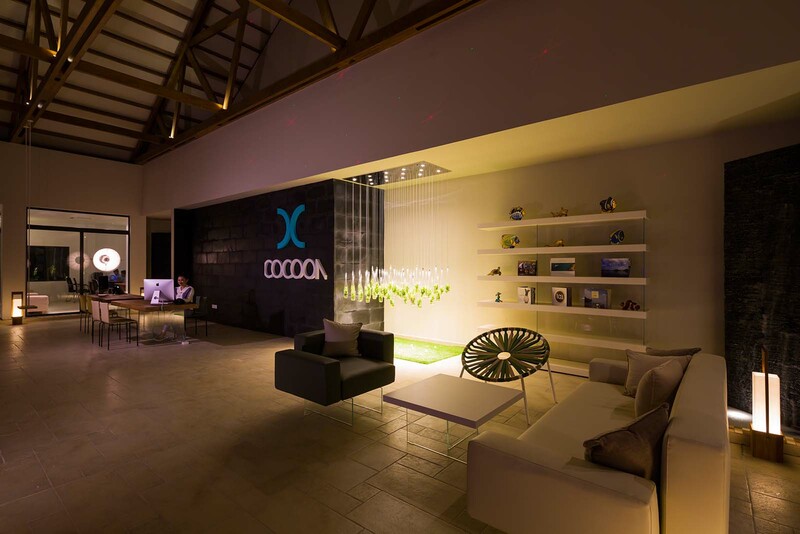 At Cocoon, there is never a lack of things to do and see. 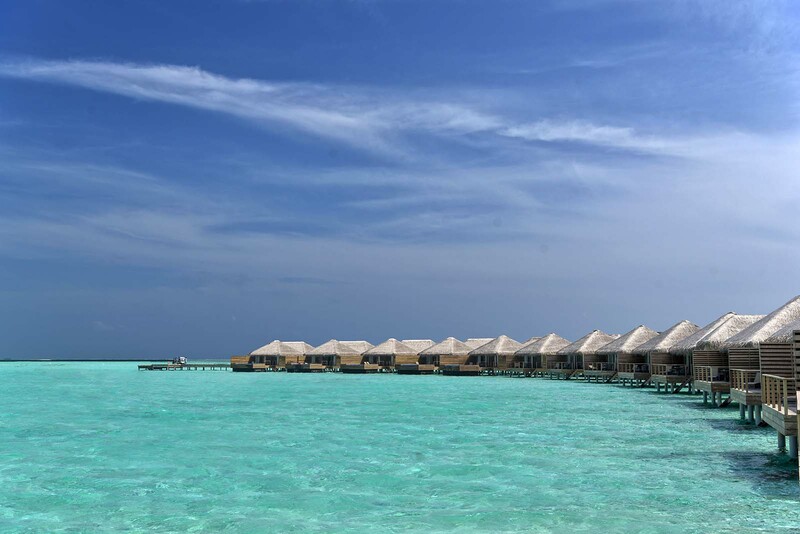 Night fishing, sunset and dolphin watching cruises, reef snorkeling and sandbank picnics are just a taste of what’s on offer. 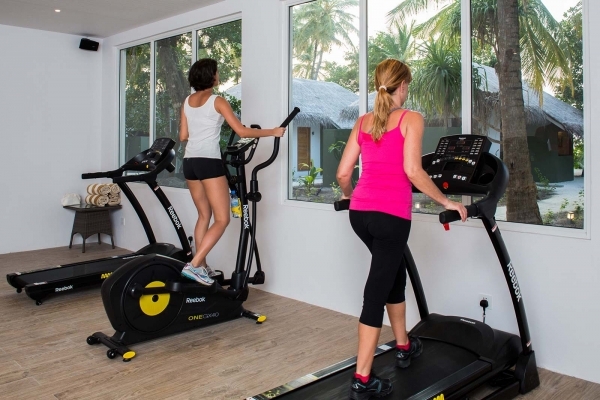 Cocoon offers a fully equipped gym to help burn the calories away.